A blockchain is a shared database that normally records the exchange of information, money, goods, or services. However, can this technology be used in the fight against opioid addiction, an epidemic in which an average of 115 Americans die of overdoses each day? “The type of people that have showed up at some of our hackathons don’t believe there’s a problem that they can’t fix,” said Brian McCarthy, director of Booz Allen’s San Francisco office. For HACKtheEPIDEMIC, he said, “Participants came from a plethora of backgrounds, including students, economists, health advocates, blockchain experts, and even someone from the clothing industry. RxChain (first place) combines blockchain with RF technology to track the number of pills being given and identify tampering. YOURine, but you want out (second place) is a blockchain-based private social network aimed to enhance participant engagement during recovery. Pharma-sign (third place) aims to reduce prescription forgery through applying blockchain to provider-pharmacy-patient communications. 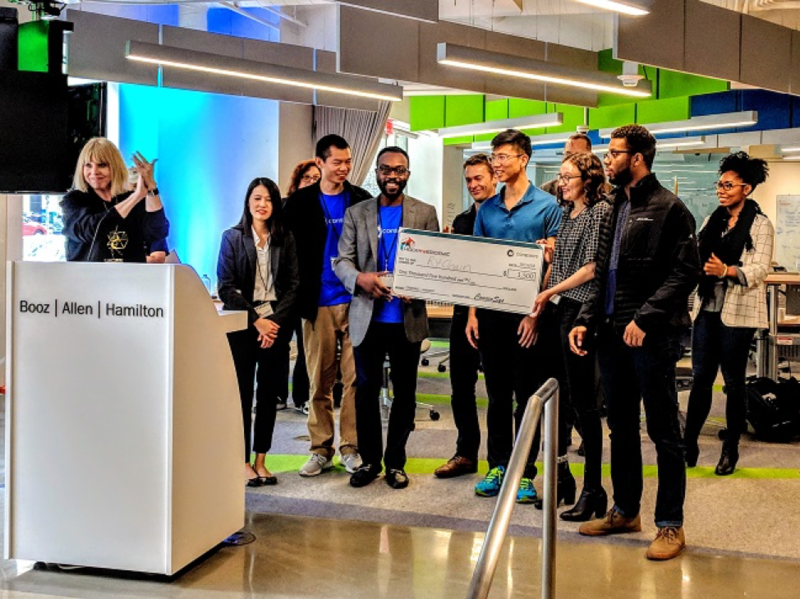 “We’re proud of the excellent work by all our participants, including Doug Grant from Booz Allen’s Washington, D.C., office, who was a member of the first place team,” said Fitzgibbon. What’s next? The teams with the top three solutions are invited to participate in a Consortium, hosted within ConsenSys Health in partnership with Booz Allen, to further develop their ideas. The goal: Flesh the ideas out into minimum viable products and even spin off a start-up of their own. And more events are in the pipeline for 2019. “We plan to host another event with ConsenSys in Washington, D.C., next spring and possibly one here on the West Coast,” said Fitzgibbon. Read about Booz Allen’s blockchain solutions for government agencies.